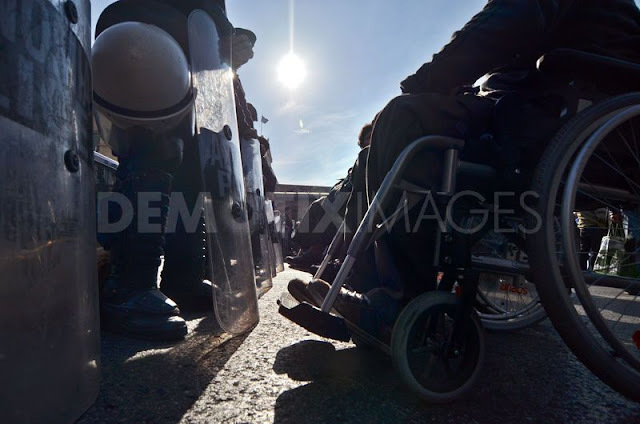 More than a thousand disabled people protest against government cuts and their impact on key benefits such as the disability living allowance and disability pensions. Greece. 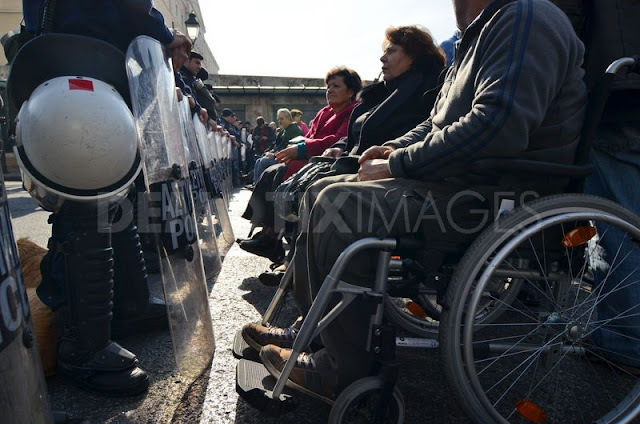 13th December 2011. Disabled protesters stand face to face with riot police in front of the Greek Parliament. 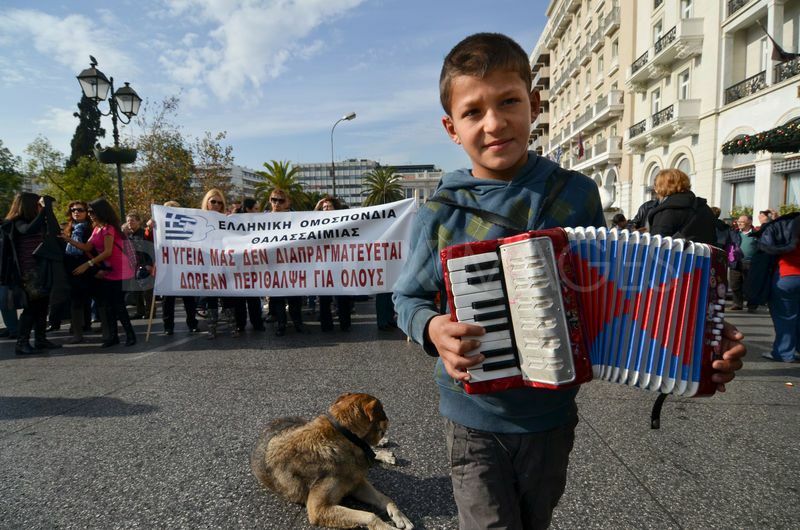 A wandering child musician who has moved toward the disabled protesters. 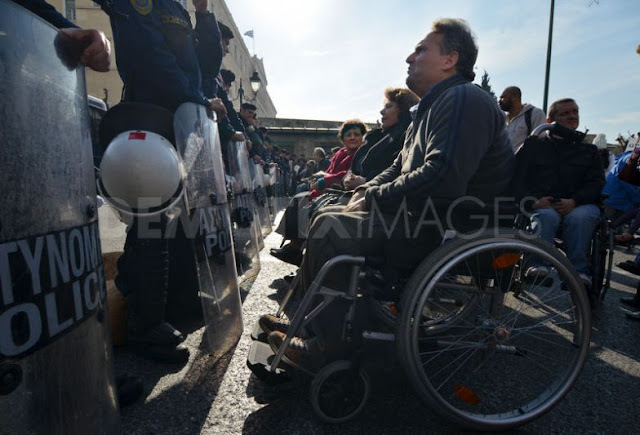 Disabled protesters stand face to face with riot police in front of the Greek Parliament. 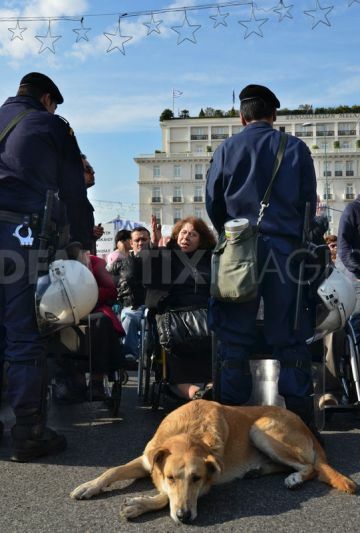 The iconic dog named "Loukanikos" can be seen. 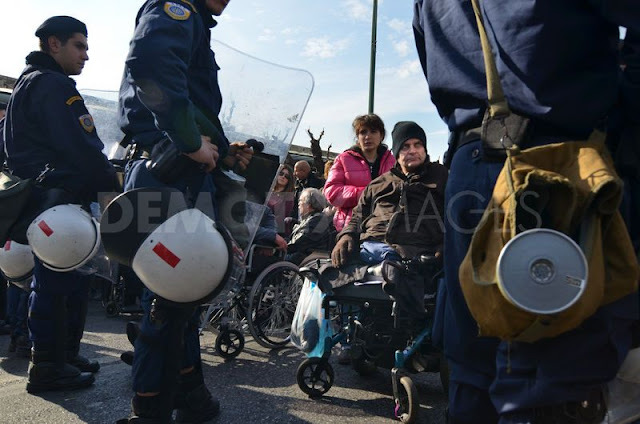 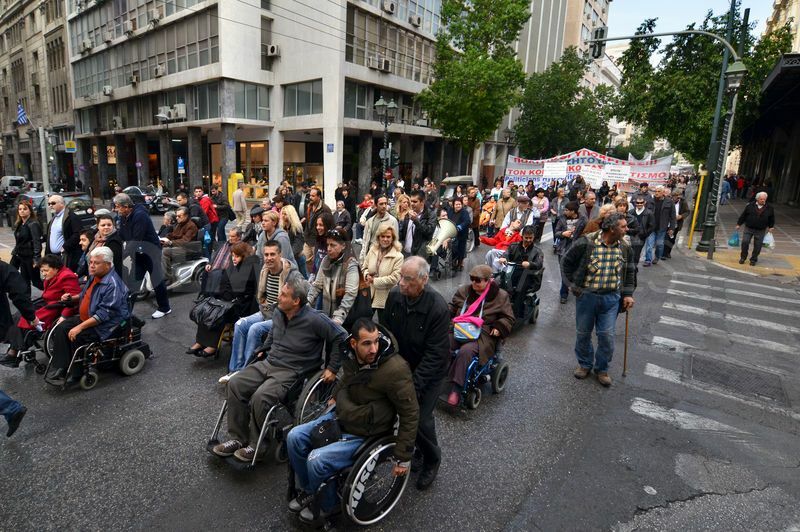 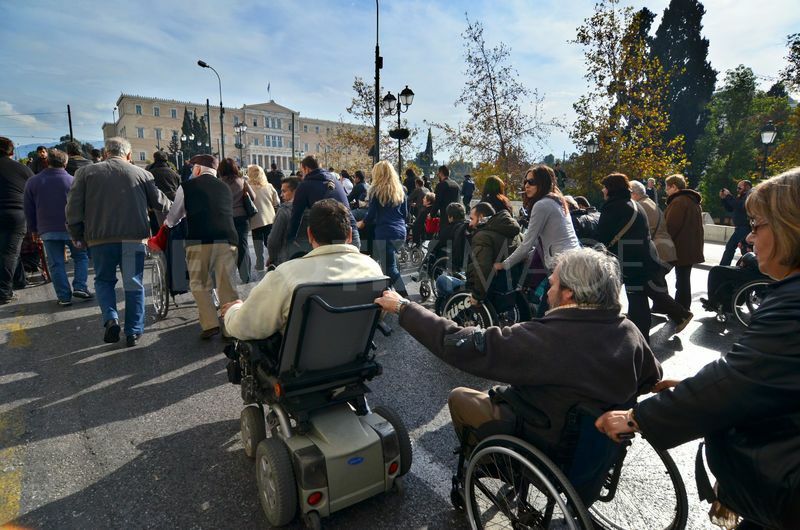 Disabled protesters and their relatives trying to break the police cordon in front of the Greek Parliament. 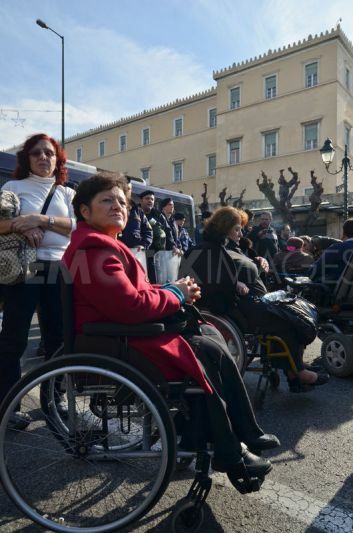 Disabled protesters in front of the Greek Parliament. More than a thousand of disabled people protested against government cuts and their impact on key benefits such as the disability living allowance, and disability pension. 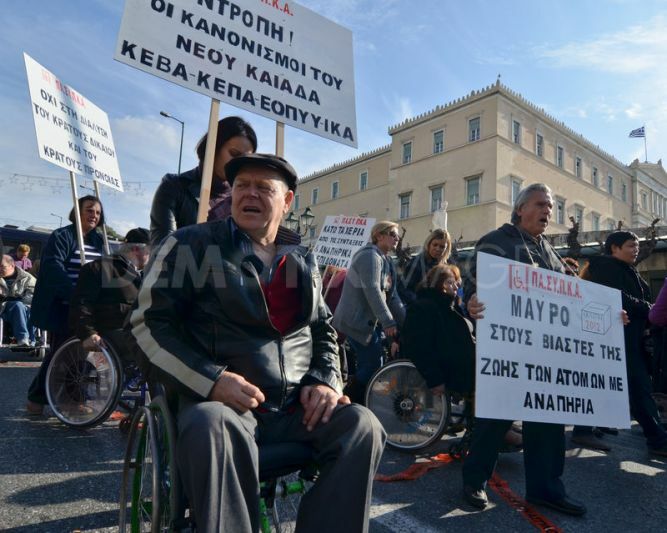 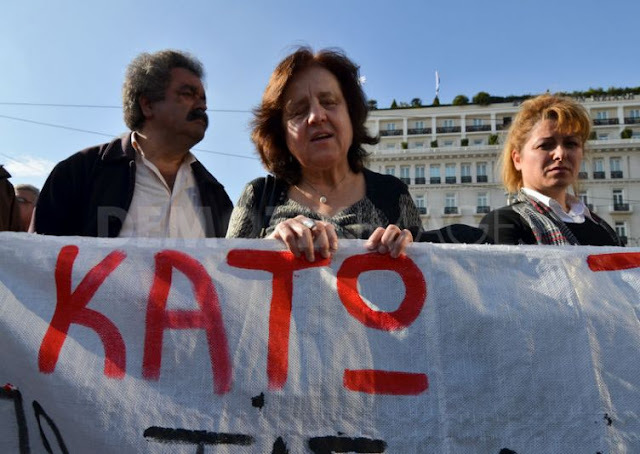 Waving placards with slogans such as "No to dismantling the welfare state" and "Protect disabled from the misery, poverty and exclusion", disabled people took to the streets of Athens center to protest at the government's spending cuts. 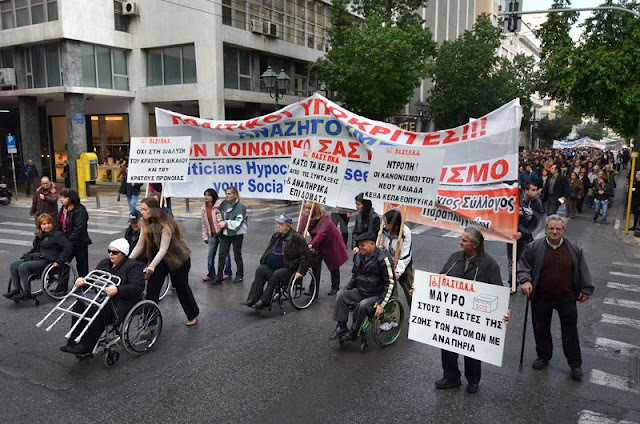 The protesters, many of whom had never been on a demonstration before, included people who are virtually immobile with supporters, relatives, charities and friends. 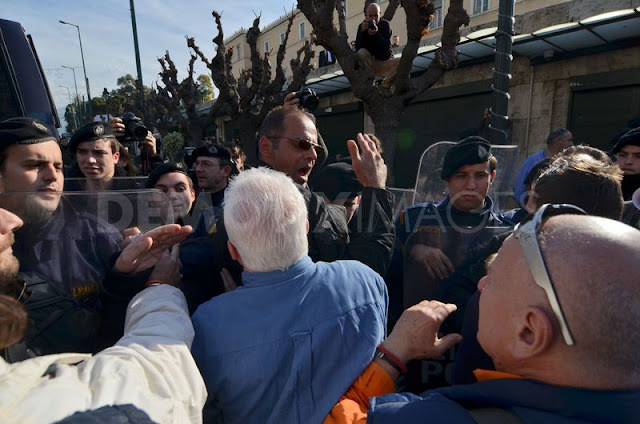 In front of the Greek Parliament Riot Police closed the road not allowing them to go near the Prime Minister Hall, where they wanted to deliver their requests.